$25 at Door - There is limited availability if it rains! Join us for Aug 4th for our first Annual Root to Fruit Festival. Enjoy wine, food, yoga and more! 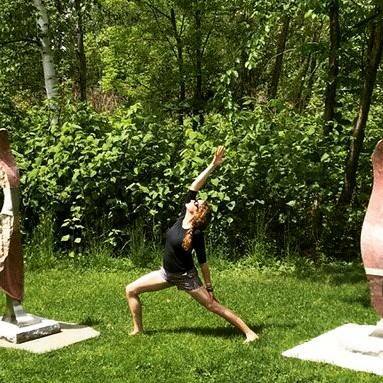 We start the day with vineyard hike at noon, followed by workshops and yoga all afternoon. And we wrap up with music by Jeff Blaney from 7 to 9pm. All you can eat pizza is available from 4 to 8pm. Unlimited yoga starts at 1pm and is just $20, all you can eat pizza is $15 in advance. We can't think of a better way to spend the day! Check out workshops and vendors while our talented yogis share their passion surrounded by the natural beauty and good vibes of Lost Acres Vineyard. We will feature seven 40 minute yoga classes, each providing a special experience linked to the growing season of our vineyard. Themed classes will include Bud break, Sun, Soil / Earth, Roots, Fruit and more. Each yoga session will be a special experience, something beyond what you might typically find in a studio yoga class. We are excited to welcome local yogis Rachel Little from Granby Yoga, Jen Dankosky from Lam Yoga, Jen LaRue from Granby Yoga, Deb Orosz from Roots Yoga, Laura Fetzer from Granby Yoga and Kathy Voskowsky from Granby Yoga. Unlimited yoga is just $20 for the day! All other activities are free of charge. Learn to make Kombucha, understand essential oils, try mediation just to name a few of our workshops. Artisan include Lyric Hill Goat Soaps and more. If that wasn’t enough, relax with local favorite, Jeff Blaney under the stars from 7 to 9pm. Recharge your soul as you practice yoga, learn new ideas, make new friends, and of course enjoy some wine in the beautiful setting of Lost Acres Vineyard farm winery.